I hope everyone had a wonderful Christmas! I will share pics from ours soon! Lots of great after Christmas deals going on right now. 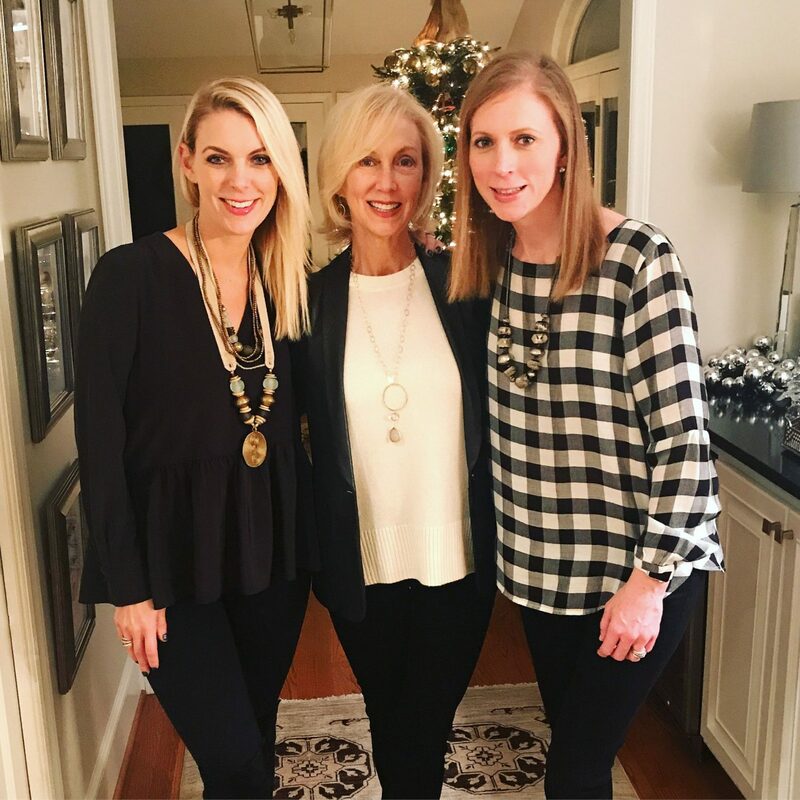 My Tibi Black Peplum top is now 60% off! comes in white and blush as well. I am wearing a size 4 but could have done a 2 runs large. 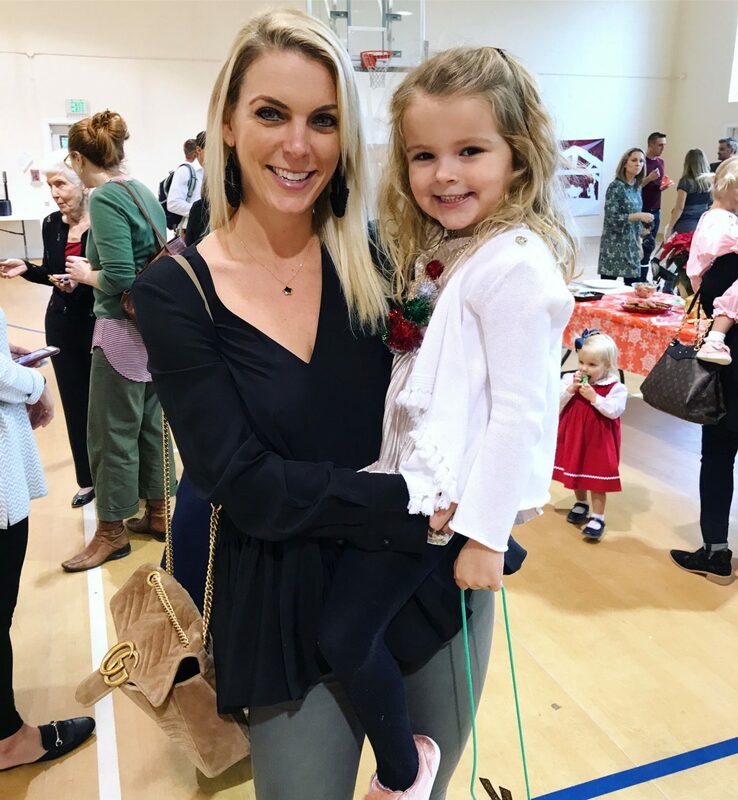 Lou and Grey Stripe Dress – this is the softest thing ever. I am wearing a size small 40% off. I also have the hoodie version as well, also 40% off. 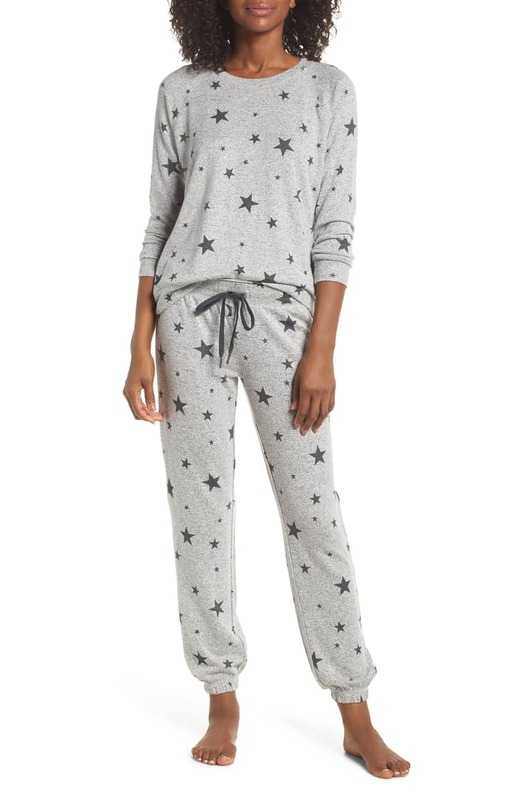 Jogger PJs– these come in 5 patterns. 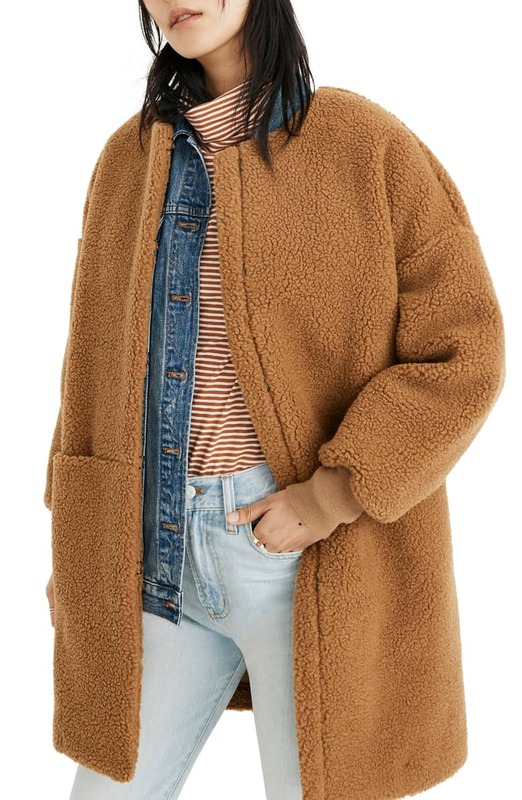 Fleece Jacket– I actually ordered this for myself. 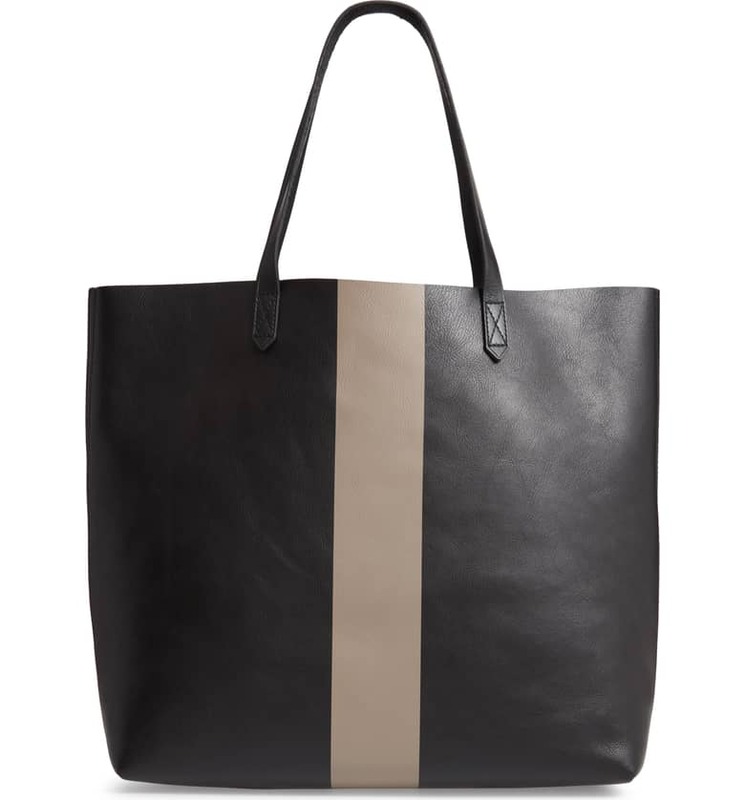 Transport Tote– 50% off! Comes in 3 colors. 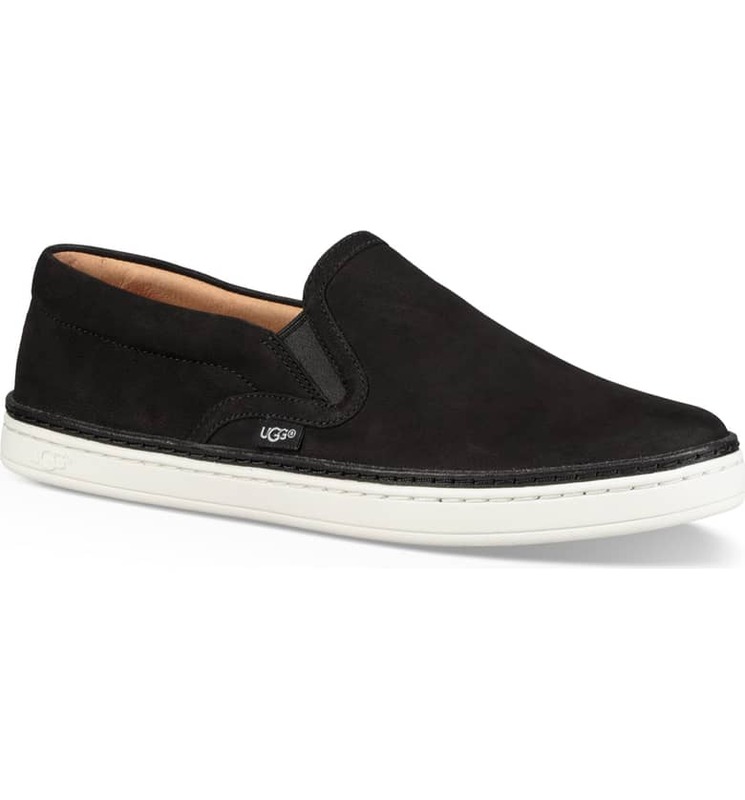 Ugg Slip on Sneakers– I have these and love them! 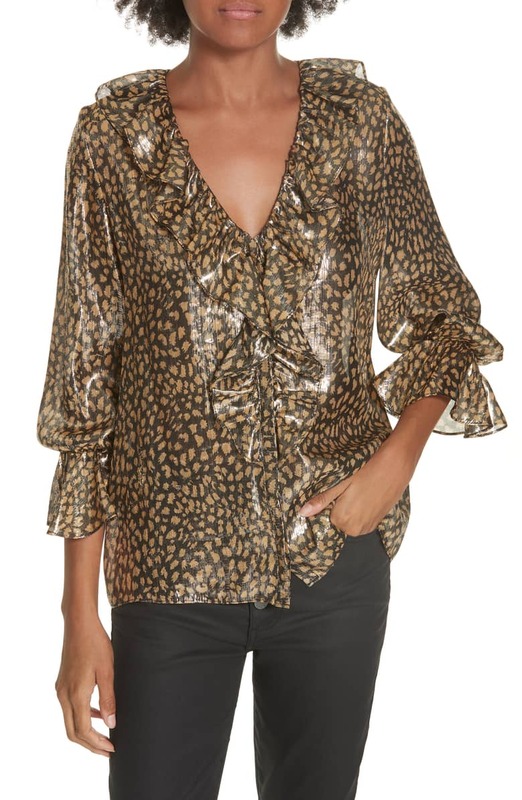 alice and oliva blouse– metallic and leopard- yes please. 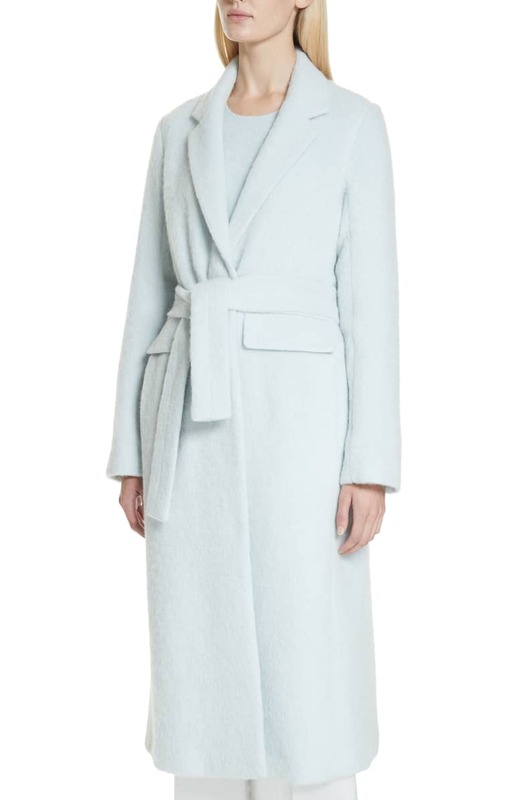 Vince Coat– this is now 50% off. 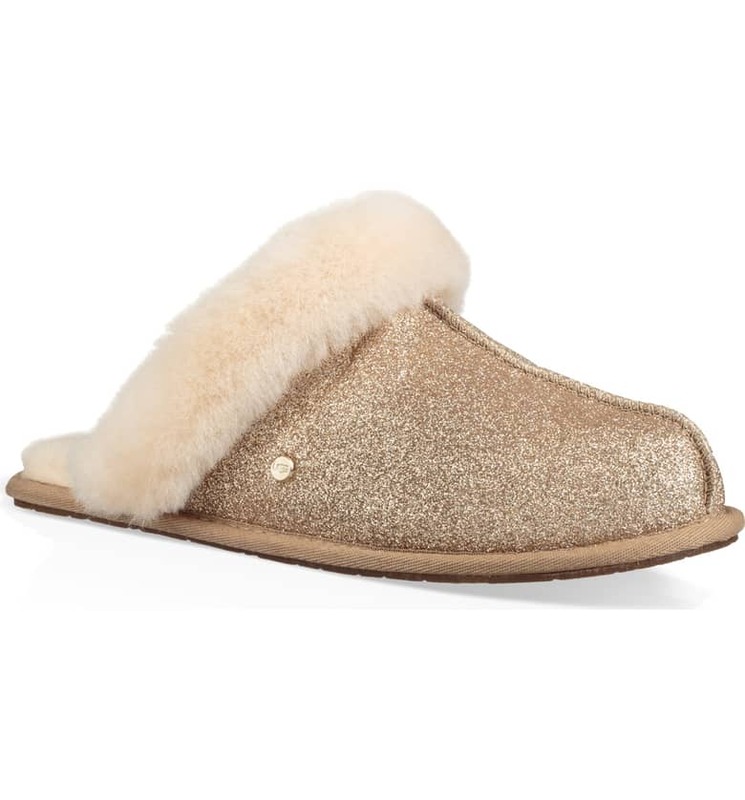 Also comes in a pretty pale pink! 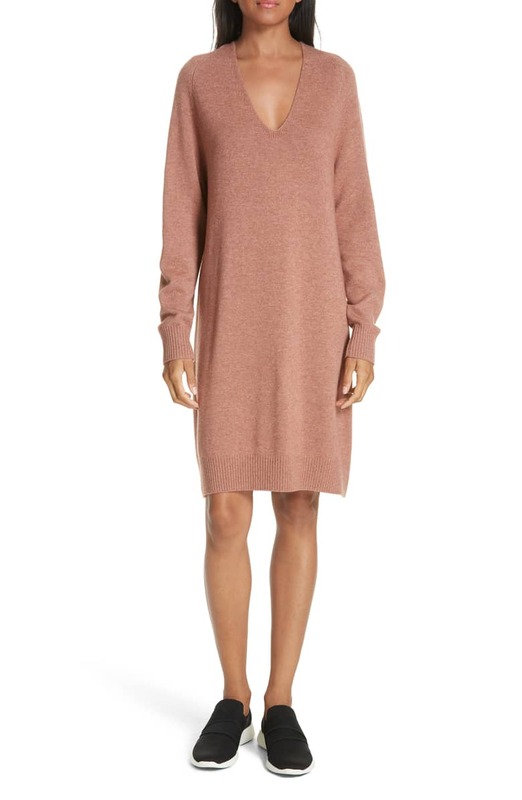 Vince Sweater Dress– this also comes in navy and now 60% off. Leather Jacket– so good. 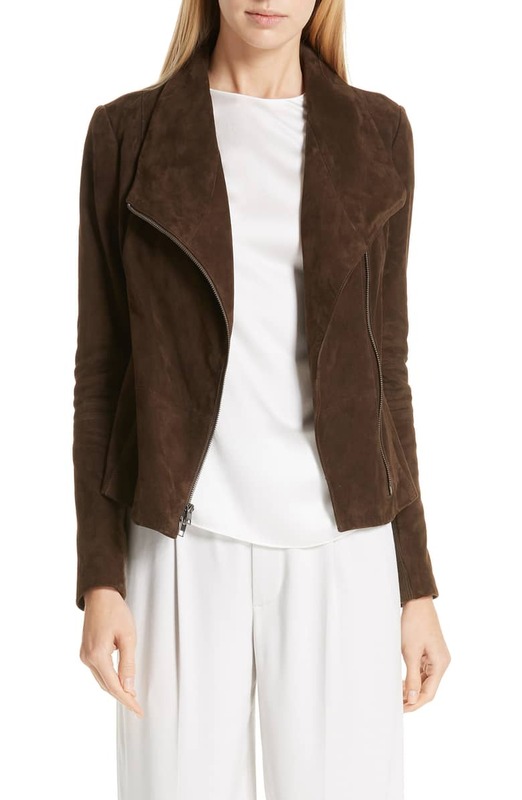 I ordered this for myself I have another Vince Leather jacket and they are the best! This one is 60% off!! 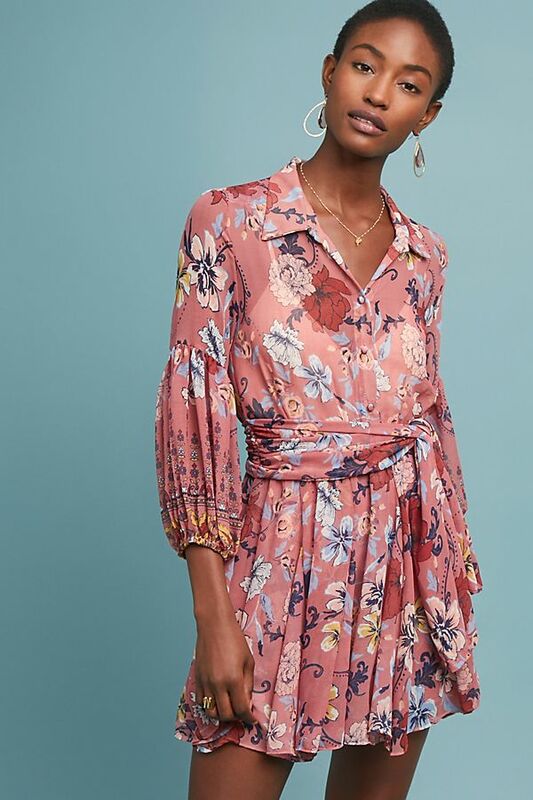 ANTHROPOLOGIE– extra 30% off sale. Fair Isle Cardigan– such pretty colors. 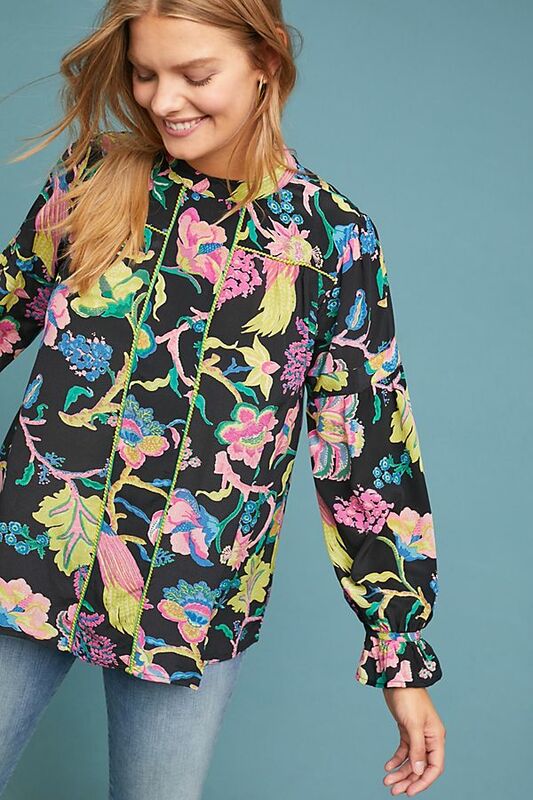 Floral Blouse– love the colors on this one! Misa Dress– such a great deal. 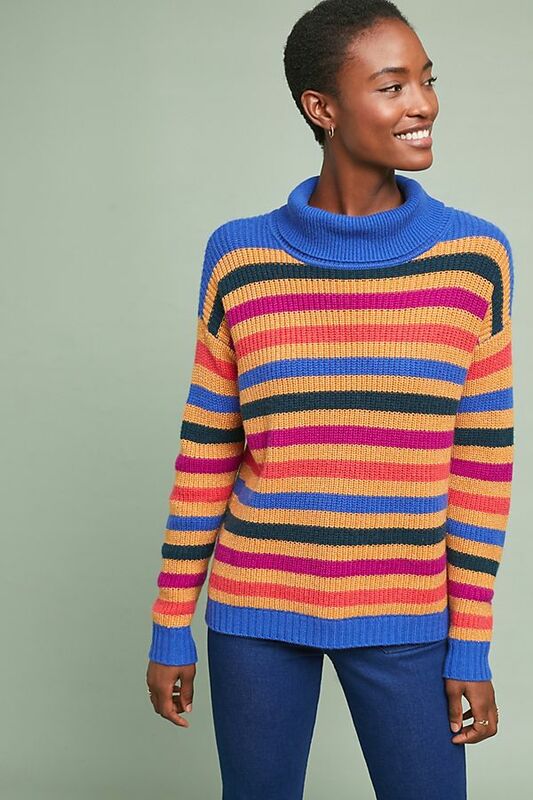 Cashmere Turtleneck– love these colors. 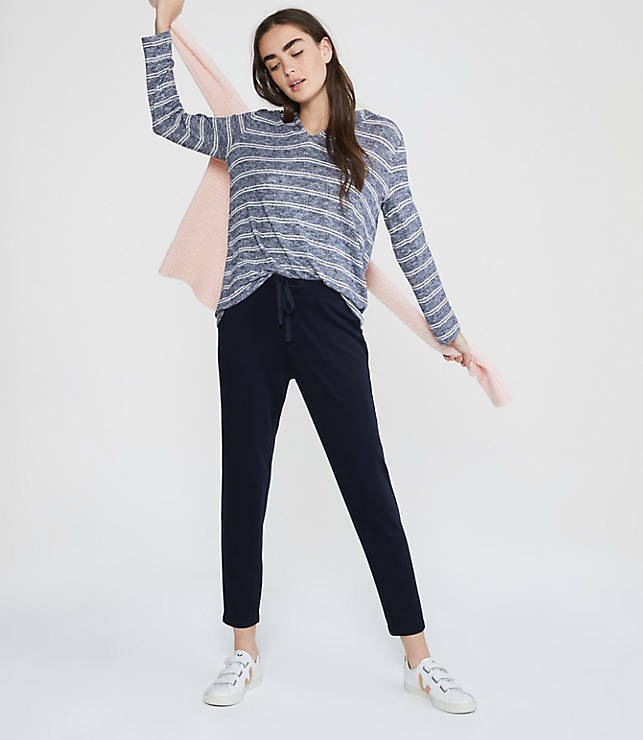 Madewell- extra 40% off all sale styles. 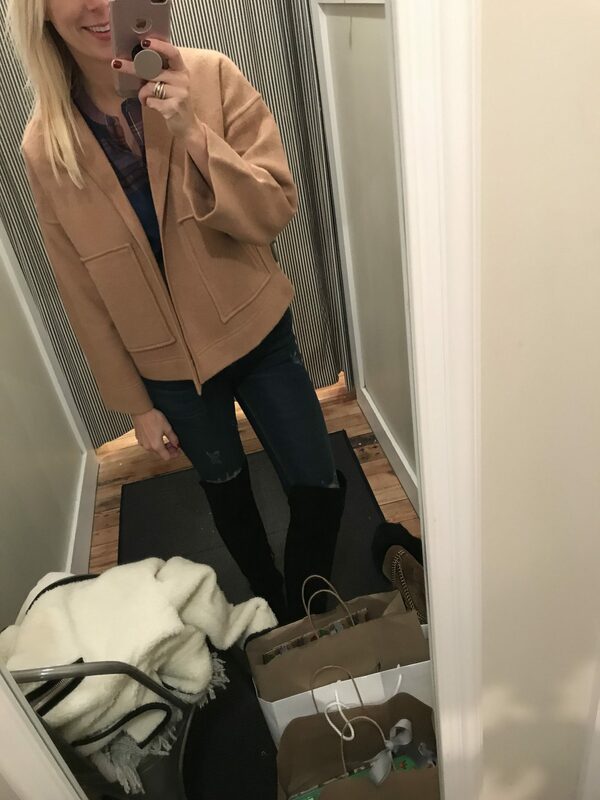 Sweater Jacket– tried this on and loved it!! great price now. I love your camel color tennies with the leopard trim. Where did you get them and tge brand? Thanks.